Salmon, halibut, lingcod, crab, or prawns? ​The fight is on! Whether it be the mighty chinook or king salmon or the feisty coho silver salmon. The abundant feed stocks of herring, anchovy, squid and krill keep the chinook in the Vancouver area year round. Coho throughout the summer into the fall. Pink and sockeye salmon can be caught in the summer and into the fall months during their spawning migration to the tributaries of the mighty Fraser River. 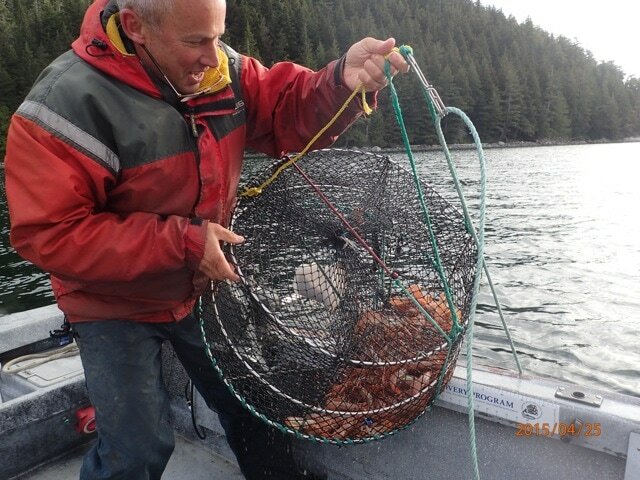 On the way to the salmon fishing grounds we will often set the crab and prawn traps . What a treat to come home with a few salmon, a bunch of crab and some tasty spot prawns. Spot Prawns, a local delicacy, are very abundant in the protected water we fish.